Maurice’s Motel is a family owned and operated motel located in Canaan, Vermont. 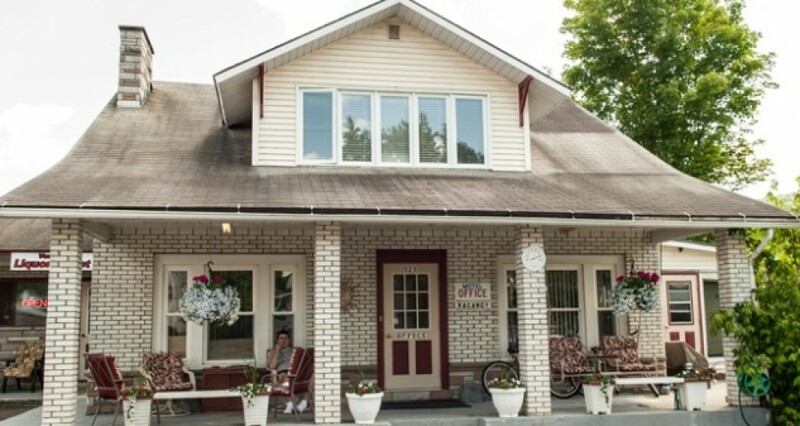 Maurice’s Motel, established in 1969, has 8 individual motel rooms with full amenities Free Coffee and Free WiFi long distance to USA and Canada, air conditioning, refrigerator and microwave. Located on Main Street in Canaan, Vermont, Maurice’s Motel has direct access to snowmobile trails and Ride the Wilds ATV trails. Also, within walking distance is the Connecticut River canoe launch and fishing area. There is a restaurant and bar across the street and within 500 feet of the motel is a full-service gas station, grocery store, kids playground, tennis courts and walking park! Maurice’s Motel is open all-year-round for individuals, families, and groups. We also have commercial rates available. Open 24 hours.